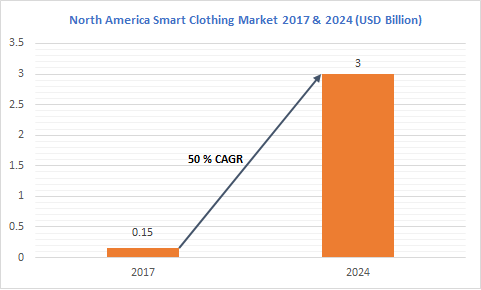 North America Smart Clothing Market value in 2017 was projected to be over 150 million and is anticipated to reach over USD 3 billion, growing at a CAGR of more than 50% over the forecast timespan. The growing adoption of intelligent technologies and an increase in the disposable income of the middle-class sector are driving the North America smart clothing market. The increased popularity of the intelligent wearables and its benefits, such as improved comfort level and data usage advantages, are propelling their consumption. The technology enables consumers to use high-quality textiles along with sensor technology and aids in maintaining the physical conditions such as human body temperature. Companies in the U.S. are focused on developing highly sustainable intelligent solutions in the North America smart clothing market to cater to the complex consumer needs. Based on the product type, smart T-shirts predict several growth opportunities over the forecast timespan. These products are majorly used in the fitness and healthcare segments owing to their regular health tracking benefits. The T-shirts comprise body sensors that perform sleep tracking and monitoring consumer health conditions. Several technological features including extended battery life, data security, and Bluetooth connectivity are driving the smart clothing market growth. Sports and fitness segment in the smart clothing market is expected to witness large revenue shares owing to the performance enhancement advantages associated with the garments. Fitness cloth manufacturers include wearable and fitness trackers to improvise muscle functions and heart rate tracking. 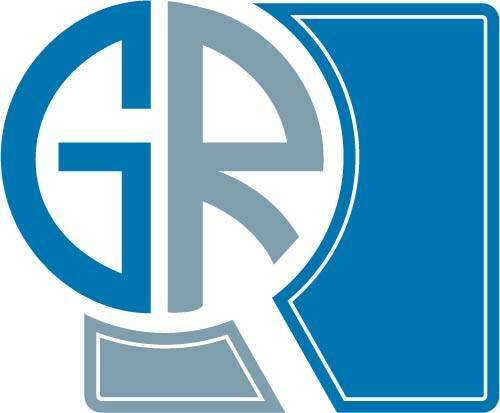 The players operating in the smart clothing market include Athos, Adidas group, Cityzen Sciences, Hallam New York, Levi Strauss & Co., Myontec Ltd., Ralph Lauren, Textronics, Inc., Zephyr, and Under Armour. Companies majorly focus on developing technically-advanced intelligent clothing and garments to improvise consumer experience. For instance, in July 2018, Tommy Hilfiger announced the launch of its smart clothing range that performs user movement tracking and is developed with inbuilt Bluetooth chips.